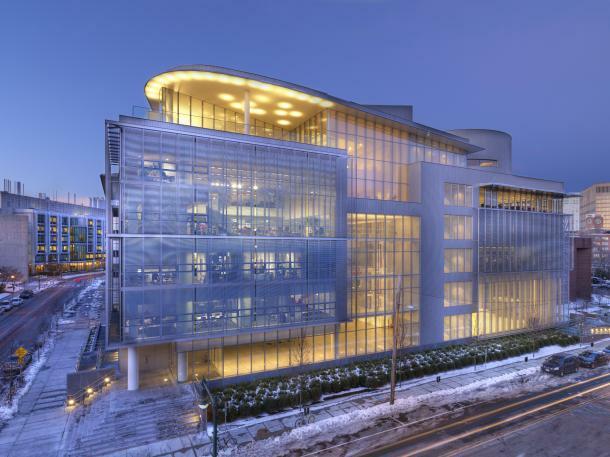 This is the last week summary about my visit to MIT Media Lab. I’m back to Brazil, back to my job, to my rugby team and to my final semester at the college. I don’t have much to say about the work at lab in the last week, besides the classes I stayed tunned in the project as much as possible. And of course I’m a little sad for leaving Media Lab and also a city like Boston, I didn’t have much time to enjoy the city once I was trying to work hard. The day after I updated the last post, I attended Joost’s lectures again, both MIT Development Ventures and Neurotech Ventures. The classes continued with the idea pitches, with students presenting their solutions to the world’s “giga challenges”. But there was a new thing too. In Neurotech Ventures lecture, Sebastian Seung presented the project which led to his book Connectome: How the Brain’s Wiring Makes Us Who We Are. The Human Connectome Project is a project to construct a map of the complete structural and functional neural connections in vivo within and across individuals. It’s important to know that this is very hard process when you think that there are 86 bilions of neurons tangled inside the human brain. And takes too long to follow each neuron, a specialised professional (used to train the machine learning) takes about 250 hours of work to map 10 cubic mm of brain. And even that way the machine gets confused sometimes. Because of that, they started to try to put humans in the loops of this mapping through gamification. Eyewire is web-game about tracing neurons in the human retina. The main goal of the Eyewire project is understanding the connections between neurons in the retina to answer questions like “Why just some neurons are activated when you see a horizontal movement?” to help determining how vision works. It was a really interesting talk and if you’re excited with this subject go ahead and give a chance to the game! One thing I got wrong at the Media Lab was not interacting very much with other research groups. And I only realised it in a talk with Joost Bonsen about my application to the Graduation Program. We discussed my points of interest and tried to determine in wich Media Lab groups I could fit and make a good work. Maybe in the next weeks I can prepare a post about the Media Lab and these other groups to show you here. But for now I have to compensate my fault of preparation and study about their researches and impact. After this talk with Joost I went to the last class I attended because I was going away. As usual the class has many guest students and talkers. The guest talkers were Nick Gillian, Ramani Duraiswami and Frédo Durand. In the class Ramesh presented the basic concepts about optics for photography, from the pin hole camera to the lightfields but it was a quick class to let the guest talkers present their researches. Nick Gillian is a postdoctoral fellow from the Responsive Environments group at Media Lab and he was the first one, presenting his work with kinect and skeleton tracker for modifying interaction with environment. After Nick’s talk, Ramani Duraiswami an associate professor from the department of computer science from University of Maryland presented the Audio Camera, that uses similar concepts of the cameras built in Camera Culture group. At last Frédo Durand, an MIT’s associate professor in Electrical Engineering and Computer Science and member of the Computer Science and Artificial Intelligence Laboratory made an awesome talk about “Revealing The Invisible“. In this talk he presented the limits of human vision and also the techniques and devices we can use to overcome them. All three talks worth reading/watching, but I only found Frédo’s talk. In the end of the class Ramesh talked about extra classes in optics, ministered by Hayato Ikoma, a graduate student from camera culture group. Unfortunately I’m not at Boston anymore, but I asked Hayato for the material used and as soon as he send it to me I’ll try to post it here in the blog.